Dental Examiners, Board of, patient abandonment defined, exemption of mobile facilities expanded to all state and local health dept. mobile dental facilities, exemptions for limited pracitce clarified, cont. education providers, time for taking licensing exam extended, display of license and reproduction of registration cert., fees, disciplinary action, approval of specialty status by board, membership ballot procedure, succession on bd., technical corrections, Secs. 34-9-1, 34-9-4, 34-9-6, 34-9-6.1, 34-9-7, 34-9-7.1, 34-9-7.2, 34-9-8, 34-9-9, 34-9-10, 34-9-12, 34-9-13, 34-9-14, 34-9-15, 34-9-16, 34-9-18, 34-9-19, 34-9-22, 34-9-26, 34-9-27, 34-9-28, 34-9-40, 34-9-41, 34-9-43.2, 34-9-88, 34-38-2 am'd. To amend Sections 34-9-1, 34-9-6.1, 34-9-7, 34-9-7.1, 34-9-10, 34-9-13, 34-9-15, 34-9-16, 34-9-18, 34-9-19, 34-9-40, 34-9-41, and 34-9-88, Code of Alabama 1975, relating to the regulation of dentists and dental hygienists; to define and include patient abandonment as grounds for disciplinary action against a dentist; to expand the exemption of mobile dental facilities subject to registration by the board to any mobile dental facility operated by the Alabama Department of Public Health or a local county health department; to exempt from regulation a dentist who infrequently engages in practice across state lines for less than 10 days a year and to delete the exemption for infrequent practice involving less than 10 patients per calendar year; to authorize the board to approve additional continuing education providers; to expand the time during which an applicant may take the licensure examination to within 18 months after completion of an accredited or approved post-doctoral residency program; to require each dentist and dental hygienist to display his or her license certificate in a visible location; to allow a licensee to reproduce his or her annual registration certificate; to authorize the board to establish rules for continuing education requirements for permits; to increase the dental hygiene by regional exam application fee; to clarify that failure to comply with any order of the board is grounds for disciplinary action; to provide for the roll of the board, in lieu of the American Dental Association, in recognizing and approving specialty status in advertising by dentists; to remove the requirement that board member ballots accompany annual registration forms; to prohibit appointed board members from succeeding themselves; to remove the requirement that the board hold an annual meeting at the University of Alabama School of Dentistry; to authorize the board to hold additional meetings; to require proof of continuing education for the annual renewal of an oral conscious sedation permit; and to make technical corrections. Sections 34-9-1, 34-9-4, 34-9-6, 34-9-6.1, 34-9-7, 34-9-7.1, 34-9-7.2, 34-9-8, 34-9-9, 34-9-10, 34-9-12, 34-9-13, 34-9-14, 34-9-15, 34-9-16, 34-9-18, 34-9-19, 34-9-22, 34-9-26, 34-9-27, 34-9-28, 34-9-40, 34-9-41, 34-9-43.2, 34-9-88, and 34-38-2 of the Code of Alabama 1975, are amended to read as follows: "§34-9-1. "For the purposes of this chapter, the following terms shall have the respective meanings ascribed by this section: "(1) ANNUAL REGISTRATION. The documentary evidence that the board has renewed the authority of the licensee to practice dentistry or dental hygiene in this state. "(2) BOARD. The Board of Dental Examiners of Alabama. "(3) COMMERCIAL DENTAL LABORATORY. A technician or group of technicians available to any or all licensed dentists for construction or repair of dental appliances. "(4) EXPANDED DUTY DENTAL ASSISTANT. A dental assistant who holds a current expanded license certificate from the board. SB123 "(5)(4) GENERAL ANESTHESIA. A controlled state of unconsciousness, accompanied by a partial or complete loss of protective reflexes, including inability to independently maintain an airway and respond purposefully to physical stimulation or verbal command, produced by a pharmacologic method. "(5) INFILTRATION ANESTHESIA. A form of local anesthesia wherein the terminal or peripheral sensory portion of either the maxillary or mandibular branch of the trigeminal nerve endings are anesthetized by injecting a solution submucosally into an intra-oral circumscribed area for the relief or prevention of pain. "(6) LICENSE. The grant of authority by the board to a person to engage in the practice of dentistry or dental hygiene. "(7) LICENSE CERTIFICATE. The documentary evidence under seal of the board that the board has granted authority to the licensee to practice dentistry or dental hygiene in this state. "(8) LICENSED DENTIST. A dentist who holds a current license certificate from the board. "(9) LICENSED HYGIENIST. A hygienist who holds a current license certificate from the board. SB123 "(10) LOCAL ANESTHESIA. The elimination of sensations, especially pain in one part of the body by topical application or regional injection of a drug. ""(11) PATIENT ABANDONMENT. The termination of dental treatment without giving the patient adequate notice of at least 15 days before the termination of dental treatment. Adequate notice includes informing the patient of the availability of emergency treatment and providing the patient with an opportunity to obtain the services of another dentist during the notice period. Abandonment may also occur if the dentist jeopardizes the health of the patient during the termination process. "(11)(12) PRACTICE OF DENTISTRY ACROSS STATE LINES. "a. The practice of dentistry as defined in Section 34-9-6 as it applies to the following: "1. The rendering of a written or otherwise documented professional opinion concerning the diagnosis or treatment of a patient located within this state by a dentist located outside this state as a result of transmission of individual patient data by electronic or other means from within this state to the dentist or his or her agent. "2. The rendering of treatment to a patient located within this state by a dentist located outside this state as a result of transmission of individual patient data by SB123 electronic or other means from this state to the dentist or his or her agent. "3. The holding of himself or herself out as qualified to practice dentistry, or use any title, word, or abbreviation to indicate or induce others to believe that he or she is licensed to practice dentistry across state lines. "b. This definition is not intended to include an informal consultation between a licensed dentist located in this state and a dentist located outside this state provided that the consultation is conducted without compensation or the expectation of compensation to either dentist, and does not result in the formal rendering of a written or otherwise documented professional opinion concerning the diagnosis or treatment of a patient by the dentist located outside the state. "(12)(13) PRIVATE TECHNICIANS. A technician employed by a dentist or group of dentists for a specified salary. "(13)(14) SEDATION. A depressed level of consciousness that retains the patient's ability to independently and continuously maintain an airway and respond appropriately to physical stimulation or verbal command, produced by a pharmacologic method. "§34-9-4. SB123 "It shall be unlawful for any person to practice dental hygiene or expanded duty dental assisting in the State of Alabama, except: "(1) Those who are now licensed dental hygienists or licensed expanded duty dental assistants, pursuant to law; and "(2) Those who may hereafter be duly licensed and who are currently registered as dental hygienists or expanded duty dental assistants pursuant to the provisions of this chapter. "§34-9-6. "Any person shall be deemed to be practicing dentistry who does any of the following: "(1) Performs, or attempts or professes to perform, any dental operation or dental service of any kind, gratuitously or for a salary, fee, money or other remuneration paid, or to be paid, directly or indirectly, to himself or herself, or to any person in his or her behalf, or to any agency which is a proprietor of a place where dental operations or dental services are performed. "(2) Directly or indirectly, by any means or method, makes impression of the human tooth, teeth, jaws or adjacent tissue, or performs any phase of any operation incident to the replacement of a tooth or any part thereof. "(3) Supplies artificial substitutes for the natural teeth, and who furnishes, supplies, constructs, reproduces, or SB123 repairs any prosthesis (fixed or removable), appliance, or any other structure to be worn in the human mouth. "(4) Places such appliance or structure in the human mouth, or adjusts, attempts, or professes to adjust the same, or delivers the same to any person other than the dentist upon whose prescription the work was performed. "(5) Professes to the public by any method to furnish, supply, construct, reproduce, or repair any prosthesis (fixed or removable), appliance, or other structure to be worn in the human mouth, or who diagnoses, or professes to diagnose, prescribe for, professes to prescribe for, treats or professes to treat disease, pain, deformity, deficiency, injury, or physical condition of the human teeth or jaws, or adjacent structure, or who extracts or attempts to extract human teeth, or remove tumors, abnormal growths, or other lesions from the human gums, jaws, and adjacent structures, or who operates for cleft lip or palate, or both; or who treats surgically or mechanically fractures of the human jaw; or who administers local or general anesthetics in the treatment of any dental lesion. "(6) Repairs or fills cavities in the human teeth. "(7) Uses a roentgen, radiograph, or digital imaging machine for the purpose of making dental roentgenograms, radiographs, or digital images, or who gives, or professes to give, interpretations or readings of dental roentgenograms, SB123 radiographs, or digital images, or radiographic or roentgen therapy. "(8) Administers an anesthetic of any nature in connection with a dental procedure. "(9) Uses the words "dentist," "dental surgeon," "oral surgeon," or the letters "D.D.S.," "D.M.D." or any other words, letters, title, or descriptive matter which in any way represents him or her as being able to diagnose, treat, prescribe, or operate for any disease, pain, deformity, deficiency, injury, or physical condition of the teeth or jaws, or adjacent structures. "(10) States, or professes, or permits to be stated or professed by any means or method whatsoever that he or she can perform or will attempt to perform dental procedures, or render a diagnosis connected therewith. "(11) Performs any clinical operation included in the curricula of recognized dental colleges; provided, that members of the faculty, teachers, instructors, fellows, interns, residents, dental students, and student dental hygienists, and student expanded duty dental assistants who are employed by or who are taking courses or instructions at the University of Alabama School of Dentistry or such other dental colleges, hospitals, or institutions in Alabama, as may be approved by the board; and provided, that the work of fellows, interns, residents, dental students, and student SB123 dental hygienists is performed within the facilities of such dental colleges, hospitals, and institutions under the supervision of an instructor and as an adjunct to his or her course of study or training, shall not be required to take examination or obtain a license certificate and renewal license certificate when all of such work, dental procedures, and activities are confined to his or her work in the college, hospital, or other institution and the work is done without remuneration other than the regular salary or compensation paid by such colleges, hospitals, or other institutions. "(12) Professes to the public by any method to bleach human teeth, performs bleaching of the human teeth alone or within his or her business, or instructs the public within his or her business, or through any agent or employee of his or her business, in the use of any tooth bleaching product. "§34-9-6.1. "(a) For purposes of this section, the following words have the following meanings: "(1) DENTAL HOME. The dental home is the ongoing relationship between the dentist and the patient, inclusive of all aspects of oral health care, delivered in a comprehensive, continuously accessible, coordinated, and family-centered way. "(2) MOBILE DENTAL FACILITY. Any self-contained facility in which dentistry or dental hygiene is practiced SB123 which may be moved, towed, or transported from one location to another. "(3) OPERATOR. A person licensed to practice dentistry in this state or an entity which is approved as tax exempt under Section 501(c)(3) of the Internal Revenue Code which employs dentists licensed in the state to operate a mobile dental facility or portable dental operation. "(4) PORTABLE DENTAL OPERATION. The use of portable dental delivery equipment which is set up on site to provide dental services outside of a mobile dental facility or a dental office and uses non-fixed dental equipment and independent plumbing. "(b) In order to operate a mobile dental facility or portable dental operation, an operator shall first obtain a certificate of registration issued by the board. The operator shall complete an application in the form and manner required by the board and shall meet all qualifications established by rules of the board. "(c) A mobile dental facility shall comply with all of the following requirements: "(1) The operator shall maintain an official business address which shall not be a post office box and which shall be within this state and be associated with an established dental facility which shall have an official business address on record with the board. The address shall SB123 be filed with the board as part of the application for a certificate of registration. "(2) The operator shall maintain an official telephone number of record which shall be accessible 24 hours a day and which shall be filed with the board as part of the application for a certificate of registration. The telephone number shall have 911 capability. "(3) The board shall be notified within 30 days of any change in address, location, or telephone number of record. The notification shall also include the method by which patients are notified of the change of address, location, or telephone number of record. For purposes of this subdivision, patient shall mean any individual who has received treatment or consultation of any kind within two years of the date of the proposed change of address, location, or telephone number of record. "(4) All written or printed documents available from or issued by the mobile dental facility shall contain the official business address and telephone number of record for the mobile dental facility. "(5) When not in transit, all dental and official records shall be maintained at the official business address. "(6) The operator shall maintain a written procedure for emergency follow-up care for patients treated in a mobile dental facility, which includes arrangements for treatment in SB123 a dental facility that is permanently established in the area within a 50-mile radius where services are provided subject to a qualified dentist being located in the area and subject to the dentist agreeing to provide follow-up care. An operator who either is unable to identify a qualified dentist in the area or is unable to arrange for emergency follow-up care for patients otherwise shall be obligated to provide the necessary follow-up care via the mobile dental facility or the operator may choose to provide the follow-up care at his or her established dental practice location in the state or at any other established dental practice in the state which agrees to accept the patient. An operator who fails to arrange or provide follow-up care as required herein shall be considered to have abandoned the patient, and the operator and any dentist or dental hygienist, or both, who fail to provide the referenced follow-up care shall be subject to disciplinary action by the board. "(7) The mobile dental facility shall have communication abilities that enable the operator to contact necessary parties in the event of a medical or dental emergency. The communication abilities shall enable the patient or the parent or guardian of the patient treated to contact the operator for emergency care, follow-up care, or information about treatment received. The provider who renders SB123 follow-up care must also be able to contact the operator and receive treatment information, including radiographs. "(8) The mobile dental facility and the dental procedures performed therein shall comply with all applicable federal and state laws and all applicable rules of the board promulgated pursuant to Section 34-9-43. "(9) Any driver of a mobile dental facility shall possess a valid Alabama driver's license appropriate for the operation of the vehicle. A copy of the driver's license of each driver shall be submitted to the board at least 30 days prior to the individual operating a mobile dental facility. "(10) All mobile dental facilities authorized in this section which are a vehicle or which are to be towed or otherwise transported by another vehicle shall be registered in this state. "(11) The operator of a mobile dental facility shall not perform services on a minor without the signed consent from the parent or guardian which form shall be established by the board. The consent form shall inquire whether the prospective patient has received dental care from a licensed dentist within one year and if so, the consent form shall request the name, address, and phone number of the dental home. If the information provided to the operator does not identify a dental home for the prospective patient, the operator shall contact the Alabama Medicaid Agency for SB123 assistance in identifying a dental home for Medicaid eligible patients. If this information is provided to the operator, the operator shall contact the designated dental home by phone, facsimile, or electronic mail and notify the dental home of the prospective patient's interest in receiving dental care from the operator. If the dental home confirms that an appointment for the prospective patient is scheduled with the dentist, the operator shall encourage the prospective patient or his or her guardian to seek care from the dental home. The consent form shall document that the patient, or legal guardian, understands the prospective patient has an option to receive dental care from the mobile dental facility or his or her designated dental home if applicable. The consent form shall require the signature of a parent or legal guardian if the patient is a minor. "(12) Each operator of a mobile dental facility shall maintain a written or electronic record detailing for each location where services are performed all of the following information: "a. The street address of the service location. "b. The dates of each session. "c. The number of patients served. "d. The types of dental services provided and the quantity of each service provided. SB123 "e. Any other information requested by rule of the board. "(13) The written or electronic record shall be made available to the board within 10 days of a request. "(14) Each mobile dental facility shall possess all applicable county and city licenses or permits to operate at each location. "(d) The mobile dental facility shall comply with the following physical requirements and inspection criteria: "(1) Ready access in a ramp or lift. "(2) A properly functioning sterilization system. "(3) Ready access to an adequate supply of potable water, including hot water. "(4) A covered galvanized, stainless steel, or other noncorrosive container for deposit of refuse and waste materials. "(5) Ready access to toilet facilities which shall be located within the mobile dental facility. Operators applying for a certificate prior to July 1, 2008, are not required to meet this requirement. Any governmental entity operating a mobile dental facility shall only be required to have ready access to toilet facilities. "(6) All licenses and permits as required by Section 34-9-13 on site. "(7) Ready access to an emergency kit. SB123 "(8) Sharps containers and red biohazard equipment available on site. "(e) A portable dental operation shall comply with all of the following requirements: "(1) The operator shall maintain an official business address which shall not be a post office box and which shall be within this state and be associated with an established dental facility which shall have an official business address on record with the board. The address shall be filed with the board as part of the application for a certificate of registration. "(2) The operator shall maintain an official telephone number of record which shall be accessible 24 hours a day and which shall be filed with the board as part of the application for a certificate of registration. The telephone number shall have E-911 capability. "(3) The board shall be notified within 30 days of any change in address, location, or telephone number of record. The notification shall also include the method by which patients are notified of the change of address, location, or telephone number of record. For purposes of this subdivision, patient shall mean any individual who has received treatment or consultation of any kind within two years of the date of the proposed change of address, location, or telephone number of record. SB123 "(4) All written or printed documents available from or issued by the portable dental operation shall contain the official business address and telephone number of record for the portable dental operation. "(5) When not in transit, all dental and official records shall be maintained at the official business address. "(6) The operator shall maintain a written procedure for emergency follow-up care for patients treated in a portable dental operation, which includes arrangements for treatment in a dental facility that is permanently established in the area within a 50-mile radius where services are provided subject to a qualified dentist being located in the area and subject to the dentist agreeing to provide follow-up care. An operator who either is unable to identify a qualified dentist in the area or is unable to arrange otherwise for emergency follow-up care for patients shall be obligated to provide the necessary follow-up care via the portable dental operation, or the operator may choose to provide the follow-up care at his or her established dental practice location in the state or at any other established dental practice in the state which agrees to accept the patient. An operator who fails to arrange or provide follow-up care as required herein shall be considered to have abandoned the patient, and the operator and any dentist or dental hygienist, or both, who fail to provide SB123 the referenced follow-up care shall be subject to disciplinary action by the board. "(7) The portable dental operation shall have communication abilities that enable the operator to contact necessary parties in the event of a medical or dental emergency. The communication abilities shall enable the patient or the parent or guardian of the patient treated to contact the operator for emergency care, follow-up care, or information about treatment received. The provider who renders follow-up care must also be able to contact the operator and receive treatment information, including radiographs. "(8) The portable dental operation and the dental procedures performed therein shall comply with all applicable federal and state laws and all applicable rules of the board promulgated pursuant to Section 34-9-43. "(9) The operator of a portable dental operation may not perform services on a minor without the signed consent from the parent or guardian on a form established by the board. The consent form shall request information as to whether the prospective patient has received dental care from a licensed dentist within one year and, if so, shall request the name, address, and phone number of the dental home. If the information provided to the operator does not identify a dental home for the prospective patient, the operator shall contact the Alabama Medicaid Agency for assistance in SB123 identifying a dental home for Medicaid eligible patients. If this information is provided to the operator, the operator shall contact the designated dental home by phone, facsimile, or electronic mail and notify the dental home of the prospective patient's interest in receiving dental care from the operator. If the dental home confirms that an appointment for the prospective patient is scheduled with the dentist, the operator shall encourage the prospective patient or his or her guardian to seek care from the dental home. The consent form shall document that the patient, or legal guardian, understands the prospective patient has an option to receive dental care from either the portable dental operation or his or her designated dental home, if applicable. The consent form shall require the signature of a parent or legal guardian if the patient is a minor. "(10) Each operator of a portable dental operation shall maintain a written or electronic record detailing for each location where services are performed all of the following information: "a. The street address of the service location. "b. The dates of each session. "c. The number of patients served. "d. The types of dental services provided and the quantity of each service provided. SB123 "e. Any other information requested by rule of the board. "(11) The written or electronic record shall be made available to the board within 10 days of a request. "(12) Each portable dental operation shall possess all applicable county and city licenses or permits to operate at each location. "(f) The portable dental operation shall comply with all physical requirements and inspection criteria established by rule of the board and shall comply with the license and permit requirements of Section 34-9-13. "(g) The mobile dental facility or a portable dental operation shall be inspected by the board or its representative prior to receiving a certificate of registration. Once registered, the mobile dental facility or a portable dental operation shall be subject to periodic unannounced audits and inspections by the board. "(h) The mobile dental facility or a portable dental operation shall comply with the current recommendations for infection control practices for dentistry as promulgated by the Centers for Disease Control and any rule of the board relating to infection control or reporting in a dental office. "(i) The initial application for a certificate of registration shall include the full name, address, and telephone number of the dentists and dental hygienists working SB123 at the facility or operation. The initial application for a certificate of registration shall also include proof of insurance from a licensed insurance carrier that the operator has in force at least one million dollars ($1,000,000) of general liability insurance. The operator shall be required to maintain one million dollars ($1,000,000) of general liability insurance at all times for which the mobile dental facility or portable dental operation is licensed by the Board of Dental Examiners. Governmental entities which operate mobile dental facilities or portable dental operations shall not be required to have or maintain any amount of general liability insurance. The operator shall advise the board in writing within 15 days of any change in the employment of any dentist or dental hygienist working at the facility or operation. "(j) The operator shall notify the board in writing within 10 days of any change made relating to a dentist to whom patients are to be referred for follow-up care as provided in subdivision (6) of subsection (c). "(k) The operator shall notify the board in writing within 10 days of any change in the procedure for emergency follow-up care as provided in subdivision (6) of subsection (c). "(l) At the conclusion of each patient's visit to the mobile dental facility or a portable dental operation, the patient shall be provided with a patient information sheet SB123 which shall also be provided to any individual or entity to whom the patient has consented or authorized to receive or access the patient's records. The information sheet shall include at a minimum the following information: "(1) The name of the dentist or dental hygienist, or both, who performed the services. "(2) A description of the treatment rendered, including billing service codes and fees associated with treatment and tooth numbers when appropriate. "(3) If applicable, the name, address, and telephone number of any dentist to whom the patient was referred for follow-up care and the reason for such referral. "(4) The name, address, and telephone number, if applicable, of a parent or guardian of the patient. "(m) In the event a mobile dental facility or a portable dental operation is to be sold, the current operator shall inform the board and the Alabama Medicaid Agency, if the operator is an Alabama Medicaid enrolled provider, at least 10 days prior to the sale being completed and shall be required to disclose the purchaser to the board and the Alabama Medicaid Agency, if the operator is an Alabama Medicaid enrolled provider, via certified mail within 10 days after the date the sale is finalized. The operator of a mobile dental facility or a portable dental operation shall notify the board and the Alabama Medicaid Agency, if the operator is an Alabama SB123 Medicaid enrolled provider, at least 30 days prior to cessation of operation. Such notification shall include the final day of operation and a copy of the notification shall be sent to all patients and shall include the manner and procedure by which patients may obtain their records or transfer those records to another dentist. It is the responsibility of the operator to take all necessary action to insure that the patient records are available to the patient, a duly authorized representative of the patient, or a subsequent treating dentist. For purposes of this subsection, a patient shall mean any individual who has received any treatment or consultation of any kind within two years of the last date of operation of the mobile dental facility or a portable dental operation. "(n) A mobile dental facility or a portable dental operation that accepts or treats a patient but does not refer patients for follow-up care when such follow-up care is clearly necessary, shall be considered to have abandoned the patient and will subject the operator and any dentist or dental hygienist, or both, who fails to provide the referenced follow-up care to disciplinary action by the board. "(o) In addition to the requirements of this section, any operator, dentist, or dental hygienist working or performing any services at a mobile dental facility or a portable dental operation shall be subject to the provisions SB123 of this chapter. Any violation of the provisions of this section shall subject the operator, dentist, or dental hygienist to the penalties provided in Section 34-9-18, and no order imposing penalties pursuant to Section 34-9-18 shall be made or entered except after notice and hearing by the board with any such order being subject to judicial review. "(p) The board may promulgate rules to implement and enforce this section. "(q) A mobile dental facility or portable dental operation shall conform to all requirements of this chapter, rules promulgated by the board pursuant to this chapter, any rule or regulation promulgated by the Occupational Safety and Health Administration, the federal Centers for Disease Control and Prevention, and the Alabama Department of Public Health, and any applicable federal, state, or local law, regulation, guideline, or ordinance including, but not limited to, those relating to radiographic equipment, flammability, construction, sanitation, medical waste transportation, zoning, prevention of infection and disease, facility operation, and licenses or permits to operate. "(r) This section shall not apply to any existing Jefferson County Department of Health mobile dental facilities that have been in service providing dental care within Jefferson County prior to December 31, 2007 mobile dental SB123 facility operated by the Alabama Department of Public Health or a local county health department. "(s) This section shall not apply to any mobile dental facility or portable dental operation which is operated during a state of emergency declared by the Governor as authorized in Section 31-9-8. "(t) It is the express intent of the Legislature that no state agency, including, but not limited to, the Alabama Medicaid Agency, shall restrict any mobile dental facility or portable dental operation which complies with the provisions outlined herein and all applicable state and federal rules from participation in its programs. "(u) Notwithstanding any other provision of law, any entity which is approved as tax exempt under Section 501(c)(3) of the Internal Revenue Code and employs dentists licensed in this state shall continue to be able to employ dentists licensed in this state and to provide dental services in the same manner and under the same conditions as licensed on June 7, 2008. "§34-9-7. "Nothing in this chapter shall apply to the following practices, acts, and operations: "(1) The practice of his or her profession by a physician or surgeon holding a certificate of qualification as a medical doctor and licensed as such under the laws of this SB123 state, provided he or she shall not practice dentistry as a specialty. "(2) The practice of dentistry in the discharge of their official duties by graduate dentists or dental surgeons in the United States Army, Navy, Air Force, or other armed services, public health service including, but not limited to, a federally qualified health center authorized and operating under Section 330 of the Public Health Service Act (42 U.S.C. § 254B), provided, however, that such federally qualified health centers shall register pursuant to Section 34-9-7.2 (provided further however, dentists, dental hygienists, and other personnel employed by any public health service which performs dental health care for the general public under programs funded in whole or part by the state or federal government shall be subject to all of the provisions of this chapter and the rules and regulations duly promulgated by the board governing the practice of dentistry and dental hygiene in this state), Coast Guard, or Veteran's Administration. "(3) The practice of dentistry by a licensed dentist of other states or countries at meetings of the Alabama Dental Association or components thereof, or other like dental organizations approved by the board, while appearing as clinicians, or when appearing in emergency cases upon the specific call of dentists duly licensed under this chapter. SB123 "(4) The filling of prescriptions of a licensed and registered dentist, as hereinafter provided, by any person or persons, association, corporation, or other entity for the construction, reproduction, or repair of prostheses (fixed or removable) or appliances on a cast made by or from impressions made by a licensed and currently registered dentist, to be used or worn as a substitute for natural teeth; provided, that the person or persons, association, corporation, or other entity, shall not solicit or advertise, directly or indirectly, by mail, card, newspaper, pamphlet, radio, television, Internet, or otherwise, to the general public to construct, reproduce, or repair prostheses (fixed or removable) or other appliances to be used or worn as substitutes for natural teeth. "(5) The use of roentgen machines or other means for making radiographs, digital images, or similar records, of dental or oral tissues under the supervision of a licensed dentist or physician; provided, that the services shall not be advertised by any name whatever as an aid or inducement to secure dental patronage, and no person shall advertise that he or she has, leases, owns, or operates a roentgen or other machine for the purpose of making dental radiographs or images, of the human teeth or tissues or the oral cavity, or administering treatments thereto for any disease thereof. SB123 "(6) The giving of a general anesthetic by a nurse anesthetist who administers a general anesthetic under the direct supervision of a duly licensed dentist to a patient who is undergoing dental treatment rendered by the dentist. "(7) The use of a nurse in the practice of professional or practical nursing, as defined in Sections 34-21-1 through 34-21-26, by a dentist. "(8) A dentist who engages in the practice of dentistry across state lines in an emergency, as defined by the board. "(9) A dentist who engages in the practice of dentistry across state lines on an irregular or infrequent basis. The "irregular or infrequent" practice of dentistry across state lines is considered to occur if the practice occurs less than 10 times days in a calendar year or involves fewer than 10 patients in a calendar year, or the practice comprises less than one percent of the diagnostic or therapeutic practice of the dentist. "(10) A dentist, or dental hygienist, or expanded duty dental assistant on active duty, or performing his or her duties as a reservist in the military, is not subject to any fee required for a special purpose license to practice dentistry across state lines. The dentist, or dental hygienist, or expanded duty dental assistant shall notify the board in advance of his or her participation in military SB123 activities and shall forward a copy of his or her current dental license or permit, or both, to the board. The dentist, or dental hygienist, or expanded duty dental assistant shall also provide proof of military status and any orders requiring him or her to perform dental treatment services in this state. "§34-9-7.1. "The practice of dentistry by a dentist licensed in another state as a part of participation in a continuing education course conducted, taught, or supervised by the University of Alabama School of Dentistry or any other dental college, hospital, or institution continuing education provider in Alabama which is approved by the board is exempt from the licensing requirements of this chapter. "§34-9-7.2. "A 501(c)(3) entity, as defined under Section 501(c)(3) of the Internal Revenue Code, that operates a dental clinic that provides dental services shall register with the board. The information provided to the board as a part of the registration process shall include the name of the corporation, the nonprofit status of the corporation, sites where dental services shall be provided by the corporation, and the names of all persons employed by, or contracting with, the corporation who are required to hold a license pursuant to this chapter. A copy of the entity's 501(c)(3) certification from the Internal Revenue Service shall be filed with the SB123 board. If the entity has multiple clinics, the entity shall register each clinic with the board and the entity shall have one licensed dentist serving as chief of dental services for all of the clinics. All dentists, and hygienists, and expanded duty dental assistants at each clinic shall possess the applicable licenses or permits required by this chapter and shall be subject to this chapter. "§34-9-8. "(a) The board shall annually issue dental faculty teaching permits to persons who are bona fide members of the faculty of a dental college, if they hold a dental degree but are not licensed and registered to practice dentistry, or dental hygiene, or expanded duty dental assisting in the state. The dean of any dental college located in the state shall annually certify to the board the bona fide members of the clinical faculty of the college who are not licensed and registered to practice dentistry or dental hygiene in the state. The board shall issue teaching permits to applicants upon the certification by the dean. The teaching permits shall be invalid if the holder ceases to be a member of the clinical faculty of the dental college. The dean of any dental college shall promptly notify the board regarding changes in the faculty which affect the eligibility of a faculty member to possess a teaching permit. The holder of a teaching permit shall be subject to this chapter and may perform all clinical SB123 operations which a person licensed to practice dentistry, or dental hygiene, or expanded duty dental assisting in the state is entitled to perform. The operations may only be performed within the facilities of the dental college or any other facility approved by the board as an adjunct to his or her teaching functions in the college. An annual fee established pursuant to this chapter shall be paid to the board when the teaching permit is issued. "(b) The board shall annually issue dental faculty special teaching permits to persons who are bona fide members of the faculty of a dental college if they hold a dental degree but are not licensed and registered to practice dentistry, or dental hygiene, or expanded duty dental assisting in the state. The dean of any dental college located in the state shall annually certify to the board the bona fide members of the clinical faculty of the college who are not licensed and registered to practice dentistry, or dental hygiene, or expanded duty dental assisting in the state. The board shall issue special teaching permits to applicants upon certification by the dean. The special teaching permits shall be invalid if the holder ceases to be a member of the clinical faculty of the dental college. The dean of any dental college shall promptly notify the board regarding changes in the faculty which affect the eligibility of a faculty member to possess a special teaching permit. The holder of a special SB123 teaching permit shall be subject to this chapter and may perform all clinical operations on his or her private patients which a person licensed to practice dentistry or dental hygiene in the state is entitled to perform. The clinical operations may only be performed within the faculty private practice facilities of the dental college or any other facility approved by the board. An annual fee established pursuant to this chapter shall be paid to the board when the special teaching permit is issued. "§34-9-9. "(a) No person other than a dentist licensed pursuant to this chapter or a 501(c)(3) entity registered under Section 34-9-7.2 may do any of the following: "(1) Employ a dentist, or dental hygienist, or expanded duty dental assistant in the operation of a dental office. "(2) Place in the possession of a dentist, dental hygienist, expanded duty dental assistant, or other agent such dental material or equipment as may be necessary for the management of a dental office on the basis of a lease or any other agreement for compensation for the use of such material, equipment, or offices. "(3) Retain the ownership or control of dental equipment, material, or office and make the same available in SB123 any manner for the use of a dentist, dental hygienist, expanded duty dental assistant, or other agent. "(4) The term "person," as used in this section, shall not in any way pertain to state, county, municipal, or city institutions but shall be deemed to include any individual, firm, partnership, corporation, or other entity not licensed to practice dentistry in the State of Alabama. "(5) Nothing in this subsection shall apply to bona fide sales of dental equipment, material, or office secured by a chattel mortgage or retention title agreement, or to an agreement for the rental of the equipment or office by bona fide lease at a reasonable amount, and under which agreement the licensee under this chapter maintains complete care, custody, and control of the equipment and the practice. Further, nothing in this subsection shall prohibit or restrict persons, firms, or corporations from employing or retaining licensed dentists to furnish dental treatment for their employees or dependents of their employees. "(b) A prohibited business arrangement or relationship as defined in subsection (a) shall not be considered a violation of that subsection if a prohibited arrangement or relationship results from the death of a licensed dentist and is cured within 12 months of the date of the death. SB123 "(c) The purpose of this section is to prevent a non-dentist from influencing or otherwise interfering with the exercise of a dentist's independent professional judgment. In addition to the acts specified in subsection (a), no person, other than a dentist licensed in accordance with this chapter, shall enter into a relationship with a person licensed under this chapter pursuant to which the unlicensed person exercises control over the selection of a course of treatment for a patient, the procedures or materials to be used as a part of such course of treatment, or the manner in which such course of treatment is carried out by the licensee. "(d) No person other than a dentist licensed pursuant to this chapter or a 501(c)(3) entity registered under Section 34-9-7.2 shall exercise control over any of the following: "(1) The patient records of a dentist. "(2) Policies and decisions relating to pricing, credit, refunds, warranties, and advertising. "(3) Decisions relating to office personnel and hours of practice. "(e) Any licensed or permitted dentist, or dental hygienist, or expanded duty dental assistant who enters into any of the arrangements or relationships in violation of subsection (a) or subsection (c) with an unlicensed person as SB123 defined above, may be subject to any of the penalties set forth in Section 34-9-18. "§34-9-10. "(a) Every person who desires to practice dentistry within the State of Alabama shall file an application prescribed by the board. Notwithstanding the method of obtaining licensure or any particular requirement set forth herein, every person as a prerequisite to licensure shall be at least 19 years of age, of good moral character, a citizen of the United States or, if not a citizen of the United States, a person who is legally present in the United States with appropriate documentation from the federal government, a graduate of a dental school or college accredited by the American Dental Association Commission on Dental Accreditation and approved by the board and shall satisfy any other requirement set forth in any rule adopted by the board. "(b) Licensure by examination shall be applicable to the following categories: "(1) Those individuals who have never been licensed or taken an examination and whose application to take an examination administered or approved by the board is received by the board within 18 months of graduation from dental school or completion of an accredited or approved post-doctoral residency program. SB123 "(2) Those individuals who have successfully passed an examination approved but not administered by the board so long as an application for licensure is received by the board within five years of the date of notification of passing such examination. All applicants shall pay a fee which shall accompany the application. "(c) Any individual who possesses a current license in any state, who has passed an examination approved by the board and who has, since graduation from dental or dental hygiene school, practiced or participated in a clinical residency or practiced dentistry or dental hygiene in the Armed Forces or with the public health service shall be eligible for licensure if an application is received by the board within five years of the completion of the subject residency or Armed Forces or public health service commitment. All the above applicants shall pay a fee which shall accompany the application. "(d) Licensure by credentials may be utilized to evaluate the theoretical knowledge and clinical skill of a dentist, or dental hygienist, or expanded duty dental assistant when an applicant for licensure by credentials holds a dental, or dental hygiene, or expanded duty dental assisting license in another state. The board may promulgate rules and regulations relating to licensure by credentials in addition SB123 to any requirements by law. An applicant for licensure by credentials shall satisfy all of the following: "(1) The dentist, or dental hygienist, or expanded duty dental assistant shall have been engaged in the active practice of clinical dentistry, or clinical dental hygiene, or clinical expanded duty dental assisting or in full-time dental, or dental hygiene, or clinical expanded duty dental assisting education for the five years or 5,000 hours immediately preceding his or her application. "(2) The applicant shall hold a current, valid, unrevoked, and unexpired license in a state having examination standards regarded by the board as an equivalent to the Alabama standards. "(3) The board of examiners in the state of current practice shall verify or endorse that the applicant's license is in good standing without any restrictions. "(4) The dentist, or dental hygienist, or expanded duty dental assistant shall not be the subject of a pending disciplinary action in any state in which the individual has been licensed which shall be verified by a query to the National Practitioner Data Bank, the Health Integrity Protection Data Bank, the American Association of Dental Boards Clearing House for Disciplinary Information, or any other pertinent bank currently existing or which may exist in the future. SB123 "(5) The applicant shall provide a written statement agreeing to be interviewed at the request of the board. "(6) The individual shall successfully pass a written jurisprudence examination. "(7) There shall be certification from the United States Drug Enforcement Administration and from the state board of any state in which the applicant is or has been licensed that the DEA registration is not the subject of any pending disciplinary action or enforcement proceeding of any kind. "(8) The dentist applicant shall submit affidavits from two licensed dentists practicing in the same geographical area where the applicant is then practicing or teaching attesting to the moral character, standing, and ability of the applicant. The dental hygiene applicant shall submit affidavits from two licensed dentists or two licensed dental hygienists, or any combination of two thereof, practicing in the same geographical area where the applicant is then practicing or teaching attesting to the moral character, standing, and ability of the applicant. The expanded duty dental assistant applicant shall submit affidavits from two licensed dentists, two licensed dental hygienists, or two licensed expanded duty dental assistants, or any combination of two thereof, practicing in the same geographical area where SB123 the applicant is then practicing or teaching attesting to the moral character, standing, and ability of the applicant. "(9) The applicant shall provide the board with an official transcript with school seal from the school of dentistry, or school of dental hygiene, or expanded duty dental assisting which issued the applicant's professional degree or execute a request and authorization allowing the board to obtain the transcript. "(10) The applicant shall be a graduate of a dental, or dental hygiene, or expanded duty dental assisting school, college, or educational program approved by the board. "(11) The applicant shall not be the subject of any pending or final action from any hospital revoking, suspending, limiting, modifying, or interfering with any clinical or staff privileges. "(12) The applicant shall not have been convicted of a felony or misdemeanor involving moral turpitude or of any law dealing with the administering or dispensing of legend drugs, including controlled substances. "(13) The board may consider or require other criteria including, but not limited to, any of the following: "a. Questioning under oath. "b. Results of peer review reports from constituent dental societies or federal dental services. "c. Substance abuse testing or treatment. SB123 "d. Background checks for criminal or fraudulent activities. "e. Participation in continuing education. "f. A current certificate in cardiopulmonary resuscitation. "g. Recent case reports or oral defense of diagnosis and treatment plans. "h. Proof of no physical or psychological impairment that would adversely affect the ability to practice dentistry or dental hygiene with reasonable skill and safety. "i. An agreement to initiate practice within the State of Alabama within a period of one year. "j. Proof of professional liability coverage and that coverage has not been refused, declined, cancelled, nonrenewed, or modified. "k. Whether the applicant has been subject to any final disciplinary action in any state in which the individual has been licensed which shall be verified by a query in the National Practitioner Data Bank, the Health Integrity Protection Data Bank, the American Association of Dental Boards Clearing House for Disciplinary Information, any state where the applicant has been licensed, or any other pertinent bank currently existing or which may exist in the future. "l. Whether the applicant's DEA registration or any state controlled substances permit has ever been revoked, SB123 suspended, modified, restricted, or limited in any way. Provided, however, that any discipline that results only from a failure to timely renew a registration or permit shall not prevent an applicant from being eligible for this method of licensure. "(14) If all criteria and requirements are satisfied and the board determines, after notice and hearing, that the individual committed fraud or in any way falsified any information in the application process, the license may be revoked by the board. "(15) In addition to the requirements for applicants seeking licensure by credentials, an applicant desiring to practice a specialty only shall satisfy the following requirements: "a. The specialty shall be one in a branch of dentistry approved by the American Dental Association board. "b. The applicant shall satisfy the existing educational requirements and standards set forth by the American Dental Association board for that approved specialty. "c. An applicant who chooses to announce or practice a specialty shall limit his or her practice exclusively to the announced special area or areas of dental practice. "d. If an applicant who is initially licensed by credentials for a specialty practice decides to renounce his or her specialty and practice general dentistry, and the SB123 license originally issued did not require a general dental license but rather a specialty license, or the applicant originally passed only a specialty examination, the applicant may not practice general dentistry until he or she successfully passes the board's regular general dentistry examination. However, if the applicant has passed a general dentistry examination or has a general dentistry license, was practicing a specialty, and decides not to continue that specialty and practice only general dentistry, the applicant is eligible for licensure by credentials as a general dentist. "(e) Notwithstanding the provisions of subsection (a), the board shall issue a special purpose license to practice dentistry across state lines to an applicant who has met the following requirements: "(1) The applicant holds a full and unrestricted license to practice dentistry in any state of the United States or in territories, other than the State of Alabama, in which the individual is licensed. "(2) The applicant has not had any disciplinary action or other action taken against him or her by any state or licensing jurisdiction. If there has been previous disciplinary or other action taken against the applicant, the board may issue a certificate of qualification if it finds that the previous disciplinary or other action indicates that the dentist is not a potential threat to the public. SB123 "(3) The applicant submits an application for a certificate of qualification for a special purpose license to practice dentistry across state lines on a form provided by the board, remits an application fee in an amount established by the board, and pays a fee. "(f) A special purpose license issued by the board to practice dentistry across state lines limits the licensee solely to the practice of dentistry across state lines. The special purpose license shall be valid for a period of up to three years, shall expire on a renewal date determined by the board, and may be renewed upon receipt of a renewal fee as established by the board. Failure to renew a license according to the renewal schedule established by the board shall cause the special purpose license to be inactive. An applicant may reapply for a special purpose license to practice dentistry across state lines following placement of the license on inactive status. The applicant shall meet the qualifications of subsection (e) in order to be eligible for renewal of the license. "(g) Notwithstanding the provisions of this section, the board shall only issue a special purpose license to practice dentistry across state lines to an applicant whose principal practice location and license to practice are located in a state or territory of the United States whose laws permit or allow for the issuance of a special purpose SB123 license to practice dentistry across state lines or similar license to a dentist whose principal practice location and license are located in another state. It is the stated intent of this section that dentists who hold a full and current license in the State of Alabama be afforded the opportunity to obtain, on a reciprocal basis, a license to practice dentistry across state lines in any other state or territory of the United States as a precondition to the issuance of a special purpose license as authorized by this section to a dentist licensed in the other state or territory. The board shall determine which states or territories have reciprocal licensure requirements meeting the qualifications of this section. "(h) Any individual who does not qualify for licensure pursuant to any of the above subsections but who has passed an examination approved by the board and possesses a current license in another state is eligible to apply for licensure upon payment of a fee. The board shall have discretion whether to require an examination for any such individual, including the time, place, type, and content of any such examination. "(i) A current license shall mean one in good standing authorizing the individual to practice in the state of issuance. "§34-9-12. SB123 "(a) Every person granted a license to practice dentistry, or dental hygiene, or expanded duty dental assisting in this state by the board, as herein provided, shall cause his or her license certificate to be recorded in the office of the judge of probate of the county in which he or she desires to practice before beginning the practice of dentistry, or dental hygiene, or expanded duty dental assisting in the county. Any person receiving a license from the board, whether or not intending to immediately engage in the practice of dentistry, or dental hygiene, or expanded duty dental assisting in this state, shall cause his or her license certificate to be recorded in the office of the judge of probate in one of the counties of this state within 60 days of the issuance of the license certificate. "(b) Every person issued a special purpose license to practice dentistry across state lines shall be subject to the jurisdiction of the board, and all rules and regulations of the board, including all matters relating to discipline. It shall be the affirmative duty of every special purpose licensee to report to the board in writing within 15 days of the initiation of any disciplinary action against the licensee to practice dentistry by any state or territory in which the licensee is licensed. In addition, the licensee agrees, by acceptance of the license, to produce any patient records or materials as requested by the board or to appear before the SB123 board or any of its committees following receipt of a written notice issued by the board. The notice may be issued by the board. The failure of a special purpose licensee to report, produce records, or appear as set forth above shall subject the licensee to the disciplinary penalties as set forth in Section 34-9-5. "(c) Every person issued a special purpose license to practice dentistry across state lines shall comply with all laws, rules, and regulations governing the maintenance of patient records, including patient confidentially requirements, regardless of the state where the records of any patient within this state are maintained. "§34-9-13. "Every practitioner of dentistry, and dental hygiene, and expanded duty dental assisting within the meaning of this chapter shall have in his or her possession and posted in a visible location a license certificate and an annual registration certificate in the office wherein he or she practices. A licensed practitioner who practices in more than one location may reproduce the annual registration certificate as needed; however, the practitioner may not reproduce the license certificate. Copies of the license certificate may be requested by the practitioner from the board as necessary. "§34-9-14. SB123 "Every licensed dentist, and dental hygienist, and expanded duty dental assistant upon changing his or her place of practice, whether from one building, city, street address, or county to another, shall within 30 days thereafter furnish the secretary-treasurer of the board with the new address. The secretary-treasurer shall acknowledge receipt of change of address within 30 days. "§34-9-15. "(a) No person shall practice dentistry, or dental hygiene, or expanded duty dental assisting in the State of Alabama unless licensed or permitted by the board and registered annually as required by this chapter. The secretary-treasurer of the board shall issue to each licensee an initial registration form which shall contain space for the insertion of name, address, date, and number of license certificate, and other information as the board shall deem necessary. The licensee shall sign and verify the accuracy of the registration before a notary public after which he or she shall forward the registration to the secretary-treasurer of the board together with a fee. Each subsequent registration shall be made in electronic format or by United States mail upon a form to be determined by the board. On or before October 1 of each year, every dentist, and dental hygienist, and expanded duty dental assistant licensed or permitted to practice dentistry, or dental hygiene, or expanded duty dental SB123 assisting in the state shall transmit either online or by United States mail to the secretary-treasurer of the board the completed form prescribed by the board, together with a fee established by the board pursuant to this chapter, and receive thereafter the current annual registration certificate authorizing him or her to continue the practice of dentistry, or dental hygiene, or expanded duty dental assisting in the state for a period of one year. Any license or permit previously granted under the authority of this chapter or any prior dental practice act shall automatically be suspended if the holder thereof fails to secure the annual registration certificate before January 1, each year. Any dentist, or dental hygienist, or expanded duty dental assistant whose license or permit is automatically suspended by reason of failure, neglect, or refusal to secure the annual registration certificate shall be reinstated by the board upon payment of the penalty fee plus all accrued annual registration fees up to a maximum of five years, accompanied with the prescribed form for annual registration of the license or permit. Upon failure of any licensee or permittee to file application for the annual registration certificate and pay the annual registration fee on or before November 30, each year, the board shall notify the licensee or permittee by mail addressed to the last address of record that the application and fee have not been received and that, unless the application and SB123 fee are received on or before the first day of January, the license or permit shall be automatically suspended. The board shall notify the licensee or permittee by mail addressed to the last address of record of the effective date of the automatic suspension and the provisions for registration of the license or permit. The board shall waive the annual payment of fees herein provided for and issue a current annual registration certificate to any licensee or permittee who, because of age or physical disability, has retired from the practice of dentistry, or dental hygiene, or expanded duty dental assisting or who is suffering a malady of a lingering or permanent nature. The board by rule shall waive annual registration and the payment of fees while any licensee is on temporary active duty with any of the Armed Forces of the United States. The waiver of fees herein provided shall be effective so long as the retirement because of age or physical disability or temporary active duty continues. "(b) The board shall adopt and promulgate rules and regulations for the adoption of a program of continuing education for its licensees by October 1, 1991. After that date, the successful completion of continuing education program requirements shall be a requisite for renewal of licenses and permits issued pursuant to this chapter. "§34-9-16. SB123 "The board shall establish and collect reasonable fees provided for in this chapter within the ranges set forth below and without having to engage in the rulemaking process: "Description Not More Than "Dental Examination Applica- tion Fee $750.00 "Dental Examination Fee $2,500.00 "Dental Examination Materials Fee $500.00 "Dental Licensure by Creden- tials Application Fee $4,000.00 "Dental Licensure by Regional Exam Application Fee $1,000.00 "Special Purpose Licensure Fee $750.00 "Special Purpose Licensure Re- newal Fee $750.00 "Dental Annual Registration Fee $500.00 "Dental License Reinstatement Penalty $500.00 "Dental Hygiene Program Appli- cation Fee $500.00 SB123 "Alabama Dental Hygiene Train- ing Permit Fee $450.00 "Alabama Dental Hygiene Train- ing Education Fee $600.00 "Alabama Dental Hygiene Pro- gram Instructor Certification Course Fee $200.00 "Alabama Dental Hygiene Pro- gram Instructional Materials Fee $950.00 "Dental Hygiene By Regional Exam Application Fee $75.00 $500.00 "Dental Hygiene Examination Application Fee $500.00 "Dental Hygiene Examination Fee $600.00 "Dental Hygiene Examination Materials Fee $400.00 "Dental Hygiene Licensure by Credentials Fee $2,000.00 "Dental Hygiene Annual Regis- tration Fee $75.00 "Dental Hygiene License Rein- $200.00 SB123 statement Penalty "Dental Hygiene Infiltration Anesthesia Permit Fee $250.00 "Dental Hygiene Infiltration Anesthesia Renewal Fee $250.00 "Expanded Duty Dental Assis- tant by Regional Exam Applica- tion Fee $75.00 "Expanded Duty Dental Assis- tant Examination Application Fee $500.00 "Expanded Duty Dental Assis- tant Examination Fee $600.00 "Expanded Duty Dental Assis- tant Examination Materials Fee $400.00 "Expanded Duty Dental Assis- tant Licensure by Credentials Fee $2,000.00 "Expanded Duty Dental Assis- tant Annual Registration Fee $75.00 "Expanded Duty Dental Assis- tant License Reinstatement Penalty $200.00 SB123 "License Certificate Fee $500.00 "Duplicate or Replacement Li- cense Fee $150.00 "Dental Faculty Teaching Per- mit Fee $350.00 "Dental Faculty Special Teach- ing Permit Fee $500.00 "Alabama Controlled Substance Permit Fee $400.00 "Alabama Controlled Substance Permit Renewal Fee $400.00 "General Anesthesia Permit Fee $1,500.00 "General Anesthesia Permit Re- newal Fee $750.00 "Parenteral Sedation Permit Fee $1,500.00 "Parenteral Sedation Permit Renewal Fee $750.00 "Oral Conscious Sedation Per- mit Fee $250.00 "Oral Conscious Sedation Per- mit Renewal Fee $250.00 "Mobile Dental Applica- $1,500.00 SB123 tion/Inspection Fee "Mobile Dental Renewal Fee $1,500.00 "Mobile Dental Facil- ity/Portable Dental Operation Application for Certificate of Registration Fee $750.00 "Mobile Dental Facil- ity/Portable Dental Operation Renewal of Certificate of Reg- istration Fee $500.00 "Alabama Impaired Dental Pro- fessionals Committee Annual Monitoring Fee $2,000.00 "§34-9-18. "(a) The board may invoke disciplinary action as outlined in subsection (b) hereof whenever it shall be established to the satisfaction of the board, after hearing as hereinafter provided, that any dentist, or dental hygienist, or expanded duty dental assistant has been guilty of the following: "(1) Fraud, deceit, or misrepresentation in obtaining any license, license certificate, annual registration certificate, money, or other thing of value. SB123 "(2) Gross immorality. "(3) Is a menace to the public health or to patients or others by reason of a disease. "(4) Is an habitual user of intoxicants or drugs rendering him or her unfit for the practice of dentistry, or dental hygiene, or expanded duty dental assisting. "(5) Has been convicted for violation of federal or state narcotics or barbiturate laws. "(6) Is guilty of negligence or gross negligence. "a. For the purposes of this subdivision, negligence is defined as the failure to do what a reasonably prudent dentist or dental hygienist would have done under the same or similar circumstances or the doing of that which a reasonably prudent practitioner would not have done under the same or similar circumstances. "b. For the purposes of this subdivision, gross negligence is defined as willful or wanton conduct with reckless, malicious, or conscious disregard for the rights or safety of others, or conduct that is so deliberate, outrageous, and callous as to display total indifference to the health or safety of a patient, that could result in serious bodily injury or death. "(7) Is guilty of employing, allowing, or permitting any unlicensed person or persons to perform any work in his or her office which, under this chapter, can only be legally done SB123 by a person or persons holding a license to practice dentistry, or dental hygiene, or expanded duty dental assisting. "(8) Willfully or negligently violates the rules of the State Department of Health or of the board regarding sanitation. "(9) Is guilty of division of fees, or agreeing to split or divide the fee received for dental service with any person for bringing or referring a patient without the knowledge of the patient or his or her legal representative, except the division of fees between dentists practicing in a partnership and sharing professional fees, or in case of one licensed dentist employing another. "(10) Is guilty of professional connection or association with or lending his or her name to anyone who is engaged in the illegal practice of dentistry, or dental hygiene, or expanded duty dental assisting. "(11) Conviction in any court of competent jurisdiction of a felony or a misdemeanor involving moral turpitude. "(12)a. A dental hygienist using or attempting to use in any manner whatsoever any prophylactic list, call list, records, reprints, or copies of same, or information gathered therefrom, of the names of patients whom the dental hygienist served in the office of a prior employer, unless the names SB123 appear upon the bona fide call or prophylactic list of his or her present employer and were caused to appear through the legitimate practice of dentistry, or dental hygiene, or expanded duty dental assisting as provided for in this chapter. "b. A licensed dentist who aids or abets or encourages a dental hygienist or an expanded duty dental assistant employed by him or her to make use of a prophylactic list or the calling by telephone or by the use of letters transmitted through the mails to solicit patronage from patients formerly served in the office of any dentist employing the hygienist, expanded duty dental assistant, or nurse. "c. An expanded duty dental assistant using or aiding, abetting, or encouraging a dental hygienist to use in any manner whatsoever any prophylactic list, call list, records, reprints, or copies of same, or information gathered therefrom, of the names of patients whom the expanded duty dental assistant served in the office of a prior employer, unless the names appear upon the bona fide call or prophylactic list of his or her present employer and were caused to appear through the legitimate practice of dentistry, dental hygiene, or expanded duty dental assisting as provided for in this chapter. SB123 "(13) Pertaining to licensed dentists only, the prescribing, administering or dispensing of any controlled substances enumerated in Schedules I through V contained in the Alabama Uniform Controlled Substances Act, Chapter 2 of Title 20, or any amendment or successor thereto, or any drug not prescribed for any dentally or facially related condition, and/or for any necessary medication during the course of treatment rendered directly by the dentist, for any person not under his or her treatment in the regular practice of his or her profession. "(14) Irregularities in billing an insurance company or other third party payer for services rendered to a patient. For the purposes of this section irregularities in billing shall include: Reporting charges for the purpose of obtaining a total payment in excess of that usually received by the dentist for the services rendered; falsely reporting treatment dates for the purpose of obtaining payment; falsely reporting charges for services not rendered; falsely reporting services rendered for the purpose of obtaining payment; or failing to advise any third party payer that the copayment provisions of a contract have been abrogated by accepting the payment received from the third party payer as full payment. "(15) Pertaining to licensed dentists only, patient abandonment. "(15)(16) Violating any rule adopted by the board. SB123 "(16)(17) Has had his or her license or permit to practice dentistry, or dental hygiene, or expanded duty dental assisting from another state suspended or revoked based upon acts similar to those described in this section. A certified copy of the record of suspension or revocation of the state making the suspension or revocation shall be conclusive evidence thereof. "(17)(18) Violating any provision of this chapter. "(b) When the board finds any dentist, or dental hygienist, or expanded duty dental assistant guilty of any of the grounds set forth in subsection (a), it may enter an order imposing one or more of the following penalties: "(1) Refuse to issue the dentist, or dental hygienist, or expanded duty dental assistant any license or permit provided for in this chapter. "(2) With the exception of negligence as defined in paragraph (a)(6)a. revoke the license or permit of any dentist, or dental hygienist, or expanded duty dental assistant. "(3) Suspend the license or permit of any dentist, or dental hygienist, or expanded duty dental assistant. "(4) Enter a censure. "(5) Issue an order fixing a period and terms of probation best adapted to protect the public health and safety SB123 and to rehabilitate the dentist, or dental hygienist, or expanded duty dental assistant. "(6) Impose an administrative fine not to exceed five thousand dollars ($5,000) for each count or separate offense. "(7) Impose restrictions on the scope of practice. "(8) Impose peer review or professional education requirements. "(9) Assess the costs of the disciplinary proceedings. "(c) Failure to comply with any final order of the board, including, but not limited to, an order of censure or probation, is cause for suspension or revocation of a license. "(d)(1) No disciplinary action as outlined in subsection (b) or (c) hereof shall be invoked or entered except after hearing by the board as provided in this chapter, and such order is subject to judicial review as provided by this chapter. "(2) No order of suspension or revocation provided in this section shall be made or entered except after hearing by the board as provided in this chapter, and the order shall be subject to judicial review as provided by this chapter. "(e)(1) The board may temporarily suspend a special purpose license to practice dentistry across state lines without a hearing on either of the following grounds: SB123 "(1)a. The failure of the licensee to appear or produce records or materials as requested by the board. "(2)b. The initiation of a disciplinary action against the licensee by any state or territorial licensing jurisdiction in which the licensee holds a license to practice dentistry. "(2) Notwithstanding any other provision of law, including the Alabama Administrative Procedure Act, the temporary suspension provided herein shall remain in effect until either the licensee has complied with the request of the board or the disciplinary action pending against the licensee has been terminated in favor of the licensee and the temporary suspension has been terminated by a written order of the board. A special purpose license to practice dentistry across state lines is subject to each of the grounds for disciplinary action provided in this section in accordance with the procedures of Section 34-9-24 and the Alabama Administrative Procedure Act. "(f) Members of the board, any agent, employee, consultant, or attorney for the board, and the members of any committee of dentists, or dental hygienists, or expanded duty dental assistants impaneled by the board, shall be immune from suits for any conduct in the course of their official duties with respect to investigations or hearings; provided, that the persons act without malice and in good faith that such SB123 investigations or hearings are warranted by the facts, known to them after diligent effort to obtain the facts of the matter relative to the investigations or hearings. "(g) Nothing in this chapter shall be interpreted to limit or restrict the authority of the board to discipline any dentist licensed to practice in this state who violates this chapter while engaging in the practice of dentistry within this or any other state. "(h) The board shall have the authority to adopt rules imposing a non-disciplinary administrative penalty for designated violations of this chapter. "§34-9-19. "(a) For the purpose of this section, the following terms shall have the respective meanings: "(1) ADVERTISEMENT. An advertisement is information communicated in a manner designed to attract public attention to the practice of a dentist as heretofore defined. "(2) DENTIST. Any person licensed to practice dentistry in this state pursuant to this chapter or any entity authorized by law which is formed for the purpose of practicing dentistry. "(3) FALSE. A false statement or claim is one which: "a. Contains a material misrepresentation of fact or law. SB123 "b. Omits a material fact rendering the statement or claim when considered as a whole false. "(b) A dentist shall have ultimate responsibility for all advertisements which are approved by him or her or his or her agents or associates and the dentist shall be responsible for the following: "(1) Broadcast advertisements shall be recorded, approved by the dentist, and a recording of the actual transmission shall be retained by the dentist for one year following the final appearance or use of the advertisement. The dentist is responsible for making copies of the advertisement available to the board within 10 days following a request by the board. "(2) Written or printed advertisements shall be approved by the dentist and a copy of the publication in which the advertisement is displayed shall be retained by the dentist for one year following the final appearance or use of the advertisement. The dentist is responsible for making copies of the advertisement available to the board within 10 days following a request by the board. "(3) Other forms of advertisement shall be approved by the dentist and the contents and specifications, where applicable, shall be retained by the dentist for one year following the final appearance or use of the advertisement and the dentist is responsible for making copies of the SB123 advertisement available to the board within 10 days following a request by the board. "(c) A dentist may not hold himself or herself out as a specialist or advertise specialty status unless the specialty is approved by the American Dental Association board. "(d) Dentists who are not specialists in specialties approved by the American Dental Association board may nevertheless advertise that their practice is limited to a specific area of dentistry only if the dentist has obtained membership in or otherwise has been credentialized credentialed by an accrediting organization which is recognized by the board as a bona fide organization for such an area of practice. "(e) Notwithstanding any provision of this section to the contrary, a dentist licensed pursuant to this chapter may not hold himself or herself out as a specialist or advertise membership in a specialty recognized by an accrediting organization, unless the dentist has continuously held himself or herself out as a specialist since December 31, 1964, in a specialty recognized by the American Dental Association board or has completed a specialty education program approved by the American Dental Association board and the Commission on Dental Accreditation and meets either of the following qualifications: SB123 "(1) Is eligible for examination by a national specialty board recognized by the American Dental Association board. "(2) Is a diplomate of a national specialty board recognized by the American Dental Association board. "(f) A dentist licensed under this chapter may not represent to the public without appropriate disclosure that his or her practice is limited to a specific area of dentistry other than a specialty area of dentistry authorized under subsection (e) unless the dentist has attained membership in or has otherwise been credentialed by an accrediting organization which is recognized by the board as a bona fide organization for such an area of dental practice. In order to be recognized by the board as a bona fide accrediting organization for a specific area of dental practice other than a specialty area of dentistry authorized under subsection (c), the organization must condition membership or credentialing of its members upon all of the following: "(1) Successful completion of a formal, full-time advanced education program that is affiliated with or sponsored by a university-based dental school that is beyond the dental degree, is at the graduate or postgraduate level, and is of at least 12 months in duration. SB123 "(2) Prior didactic training and clinical experience in the specific area of dentistry which is greater than that of other dentists. "(3) Successful completion of oral and written examinations based on psychometric principles. "(g) Notwithstanding the requirements of subsections (e) and (f), a dentist who lacks membership in or certification, diplomate status, or other similar credentials from an accrediting organization approved as bona fide by either the American Dental Association or the board may announce a practice emphasis in any other area of dental practice if the dentist incorporates in capital letters or some other manner clearly distinguishable from the rest of the announcement, solicitation, or advertisement the following statement: "_____________ (NAME OF ANNOUNCED AREA OF DENTAL PRACTICE) IS NOT RECOGNIZED AS A SPECIALTY AREA BY THE AMERICAN DENTAL ASSOCIATION OR THE BOARD OF DENTAL EXAMINERS OF ALABAMA." If such an area of dental practice is officially recognized by an organization which the dentist desires to acknowledge or otherwise reference in the dentist's announcement, solicitation, or advertisement, the same announcement, solicitation, or advertisement shall also state prominently: "_______________ (NAME OF REFERENCED ORGANIZATION) IS NOT RECOGNIZED AS A BONA FIDE SPECIALTY SB123 ACCREDITING ORGANIZATION BY THE AMERICAN DENTAL ASSOCIATION OR THE BOARD OF DENTAL EXAMINERS OF ALABAMA." "(h) The purpose of this section is to prevent a dentist from advertising without appropriate disclosure membership in an organization which may be perceived by the public as recognizing or accrediting specialization or other unique competencies in an area of dentistry that is not recognized or accredited by the American Dental Association or the board in accordance with this section. The purpose of this section is also to prohibit a dentist from advertising a specialty or other area of dental practice without appropriate disclosure unless the special competencies held by the dentist satisfy the requirements of subsections (d) and (f). The Legislature finds that dental consumers can reasonably rely on these requirements as satisfactory evidence of a dentist's attainment of meaningful competencies in the specialty or other bona fide area of dental practice advertised. 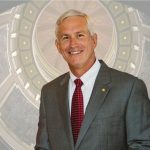 The Legislature also finds that this process for the recognition of dental specialties and other bona fide areas of dental practice is the least restrictive means available to ensure that consumers are not mislead about a dentist's unique credentials. "(i) A dentist who lacks membership in or certification, diplomate status, or similar credentials from an accrediting organization approved as bona fide by either SB123 the American Dental Association or the board may announce a practice emphasis in any other area of dental practice if the dentist incorporates the disclaimer set forth in subsection (g). "(j) The board shall promulgate rules and regulations delineating examples of advertising which would be considered false, fraudulent, misleading, or deceptive. "§34-9-22. "Whoever sells or offers to sell a diploma conferring a dental, or dental hygiene, or expanded duty dental assistant degree, or a license certificate or annual registration certificate granted pursuant to this chapter or prior dental act, or procures such diploma or license certificate or annual registration certificate with intent that it shall be used as evidence of the right to practice dentistry or dental hygiene as defined by law, by a person other than the one upon whom it was conferred or to whom such license certificate or annual registration certificate was granted, or with fraudulent intent alters such diploma or license certificate or annual registration certificate, or uses or attempts to use it when it is so altered shall be deemed guilty of a misdemeanor. The board may impose any of the penalties outlined in Section 34-9-18 against any person found guilty of making a false statement or cheating, or of fraud or deception either in applying for a license, a license SB123 certificate, or annual registration or in taking any of the examinations provided for herein. "§34-9-26. "(a) No person shall practice as a dental hygienist in this state until such person has passed an examination given by the board or approved by the board, or both, under rules and regulations as the board may promulgate and the payment of a fee. The board shall issue licenses and license certificates as dental hygienists to those persons who have passed the examination and have been found qualified by the board. The license certificate and annual registration certificate shall be displayed in the office in which the dental hygienist is employed. No person shall be entitled to a license and license certificate unless the person is 19 years of age and of good moral character. Each applicant for examination and license as a dental hygienist shall be a graduate of a school of dental hygiene which has been approved by the board, or in lieu thereof, shall have served as a dental assistant for a period of time established by board rule and shall have served at least one year as a dental hygienist trainee under a training permit issued by the board to a qualified dentist practicing in this state in accordance with the dental hygienist training program established by the board. Any person practicing in violation of this section SB123 shall be guilty of a misdemeanor, and the board may impose the penalties outlined in Section 34-9-18 for such violation. "(b) No person shall practice as an expanded duty dental assistant in this state until such person has passed an examination given by the board or approved by the board, or both, under rules and regulations as the board may promulgate and the payment of a fee. The board shall issue licenses and license certificates as expanded duty dental assistants to those persons who have passed the examination and have been found qualified by the board. The license certificate and annual registration certificate shall be displayed in the office in which the expanded duty dental assistant is employed. No person shall be entitled to a license and license certificate unless the person is 19 years of age and of good moral character. Each applicant for examination and license as an expanded duty dental assistant shall be a graduate of a school of expanded duty dental assisting which has been approved by the board. Any person practicing in violation of this section shall be guilty of a misdemeanor, and the board may impose the penalties outlined in Section 34-9-18 for such violation. "§34-9-27. "Dental hygienists and expanded duty dental assistants shall work only under the direct supervision of a duly licensed dentist practicing in this state. Dental SB123 hygienists and expanded duty dental assistants may perform any duties allowed by rule or regulation of the board and assist a licensed or permitted dentist in his or her practice; however, expanded duty dental assistants may not perform any irreversible procedure, including surgery. Any dental hygienist licensed by the board under this section who has completed the curriculum for dental hygienists at a dental school approved by the board shall have the right to use the title Registered Dental Hygienist or the abbreviation thereof, "R.D.H." appended to his or her name signifying the license conferred. The board may impose any of the penalties outlined in Section 34-9-18 against any dentist who shall permit any dental hygienist or expanded duty dental assistant working under his or her supervision to perform any operation other than those permitted under the provisions of this section, and may impose the penalties outlined in Section 34-9-18 against any dental hygienist or expanded duty dental assistant who shall perform any operation other than those permitted under this section. "§34-9-28. "It shall be the duty of all licensed dental hygienists and expanded duty dental assistants to notify the board, in writing, of any change of address or employer and have issued to them an annual registration certificate by the board. Any dental hygienist or expanded duty dental assistant SB123 whose license shall be automatically suspended by reason of failure, neglect, or refusal to secure the annual registration certificate may be reinstated by the board upon payment of the penalty fee plus the current year's registration fee. The form and method provided for in Section 34-9-15 shall apply to the annual registration of dental hygienists. "§34-9-40. "(a) In order to accomplish the purposes and to provide for the enforcement of this chapter, there is hereby created the board. The board is hereby vested with the authority to carry out the purposes and enforce the provisions of this chapter. On June 24, 1959, the members of the present board now in existence shall hold office for the remainder of their respective terms for which they have been elected and thereafter until their successors are elected and qualified and shall constitute the board under this chapter. The board shall consist of six dentists who shall be selected in the method set forth herein all of whom having been actively engaged in the practice of dentistry in the State of Alabama for at least five years next preceding the date of their election and one dental hygienist elected at-large as provided in subsection (b). Each member of the board shall be a citizen of this state. No member of the board shall be a member of the faculty of any dental school, dental college, dental hygiene school, or dental hygiene college or receive any financial SB123 benefits for teaching in any dental school, dental college, dental hygiene school, or dental hygiene college or have a financial interest in a commercial dental laboratory or a dental supply business. One member, who is qualified as provided herein, shall be selected by the Alabama Dental Society every five years. As for all elections of members, any group of 10 or more licensed dentists, residing and practicing dentistry in the state, may nominate a candidate for the position of board member by submitting a petition bearing their signatures to the secretary of the board to be postmarked no later than the first day of July in the year of the election. The board shall cause the election ballots to be mailed or published digitally not later than September 1 in the year of the election to all the licensed dentists residing and practicing in the state and currently registered as prescribed by law, along with the annual registration form for the forthcoming fiscal year. Both the annual registration form and fee shall accompany the. The ballot that shall be postmarked, or otherwise submitted electronically, no later than October 1 to the secretary of the board no later than the first board workday following October 1 each year, ballots being nullified unless accompanied by or electronically filed with completed annual registration form and annual registration fee. Three members of the board shall be present at the time the ballots, digital or physical, are tallied. Any SB123 candidate receiving a majority of the votes shall be declared elected to the board and will take the oath of office on or before October 15 in the year of his or her election. In the event no candidate receives a majority of the votes cast, the board shall conduct a run-off election between the two candidates receiving the largest number of votes. The board shall cause the ballots pertaining to the run-off election to be mailed or digitally published on or before October 31 of the election year to all the licensed dentists who have renewed their licenses for the succeeding year as of October of the current year, are residing and practicing in the state, and currently are registered as prescribed by law, and the ballots pertaining to the run-off election shall be postmarked or digitally published no later than the fourteenth day of November in the year of the run-off election and received, if mailed, by the secretary of the board no later than the first board workday following the fourteenth day of November. All mailed ballots received after this date shall be nullified. In the event of a run-off election, the candidate receiving the largest number of votes in the run-off election shall be declared elected to the board and shall take the oath of office and begin his or her term of office no later than the next scheduled board meeting. Every member elected shall hold office for a period of five years, which terms shall begin immediately upon taking an oath to properly and faithfully SB123 discharge the duties of his or her office and until his or her successor is elected and qualified, and the member so elected or appointed shall not at the expiration of the term be eligible to succeed himself or herself. The membership of the board shall be inclusive and reflect the racial, gender, geographic, urban/rural, and economic diversity of the state. Except for the board member position selected by the Alabama Dental Society, vacancies on the board shall be filled by the board by the appointment of the immediate past member of the board, and if for any reason the immediate past member of the board is unable to accept the appointment, then the board shall fill the vacancy by appointment of the most recent past board member who is willing to accept the appointment. If no past board member accepts the appointment, then the board may, by majority vote, appoint any licensed dentist qualified under the provisions of this chapter. In the event of a vacancy in the position selected by the Alabama Dental Society, the Alabama Dental Society shall select a dentist who is qualified as provided herein to fill the vacancy. Members of the board shall be removed by a two-thirds vote of the registered dentists in the state for neglect of duty or any just cause, by petition to the secretary of the board by 10 percent of the licensed dentists in the state. On or before July 1, 1962, the board shall send a copy of this section to all licensed dentists in the state. SB123 "(b)(1) One member of the board shall be a licensed dental hygienist. The dental hygienist member shall be of good moral and ethical character and shall have been actively engaged in the practice of dental hygiene in the State of Alabama for at least five years preceding the date of election. No dental hygienist member shall be a member of the faculty of any dental school, dental college, dental hygiene school, or dental hygiene college or receive any financial benefits for teaching in any dental school, dental college, dental hygiene school, or dental hygiene college or have a financial interest in a commercial dental laboratory or dental supply business while serving on the board. "(2) The dental hygienist member shall be elected as follows: "a. Any group of 10 or more licensed dental hygienists, residing and practicing dental hygiene in the State of Alabama, may nominate a candidate for the dental hygienist position by submitting a petition bearing their signatures to the secretary of the board no later than the first day of July in the year of an election. The board shall cause election ballots to be mailed or published digitally no later than September 1 in the year of an election to all the licensed dental hygienists residing and practicing in the state and currently registered as prescribed by law. Both the annual registration form and the registration fee shall SB123 accompany the. The ballot that shall be postmarked or otherwise submitted electronically no later than October 1 to the secretary of the board no later than the first board workday following October 1 each year, and the ballots will be nullified unless accompanied by or electronically filed with a completed annual registration form and the annual registration fee. "b. Three members of the board shall be present at the time the ballots, digital or physical, are tallied. Any candidate receiving a majority of the votes shall be declared elected to the board and shall take the oath of office on or before October 15 in the year of his or her election. In the event no candidate receives a majority of the votes cast, the board shall conduct a run-off election between the two candidates receiving the largest number of votes. The board shall cause the ballots pertaining to any run-off election to be mailed or digitally published on or before October 31 of the election year to all licensed dental hygienists who have renewed their licenses for the succeeding year as of October of the current year, are residing and practicing in the state, and are currently registered as prescribed by law, and the ballots pertaining to the run-off election shall be postmarked or digitally submitted no later than the fourteenth day of November in the year of the run-off election and received, if mailed, by the secretary of the board no later than the first SB123 board workday following November 14. All mailed ballots received after November 14 shall be nullified. In the event of a run-off election, the dental hygienist candidate receiving the largest number of votes in the run-off election shall be declared elected to the board and shall take the oath of office and begin his or her term of office no later than the next scheduled board meeting. "c. All elections as described above shall be conducted by the board. "(3) The dental hygienist member shall be removed by a two-thirds vote of the registered dental hygienists in the state for neglect of duty or any just cause by petition to the secretary of the board by 10 percent of the licensed dental hygienists in the state. "(4) The dental hygienist member shall hold that position for a period of five years, which term shall begin immediately upon taking an oath to properly and faithfully discharge the duties of his or her office and continue until his or her successor is elected and qualified, and the member so elected or appointed shall not at the expiration of the term be eligible to succeed himself or herself. If a vacancy occurs in the position of dental hygienist, the unexpired term shall be filled by the board by the appointment of the immediate past dental hygienist member. If for any reason the immediate past dental hygienist member is unable to accept the SB123 appointment, then the board shall fill the vacancy by a majority vote of the other board members by the appointment of some other past dental hygienist member. If a vacancy occurs and there is not an immediate past dental hygienist member or other past dental hygienist member, the vacancy shall be filled by a unanimous vote of the board by the appointment of some otherwise qualified dental hygienist. "(5) The dental hygienist member shall advise the board on matters relating to dental hygiene and shall only be permitted to vote on matters relating to dental hygiene. The board shall provide the dental hygienist member with timely notice of all board meetings and the dental hygienist member shall be allowed to attend all meetings unless prohibited by law from attendance at any disciplinary hearings. The board shall not adopt any rule relating to the practice of dental hygiene unless the proposed rule has been submitted to the dental hygienist member for review and comment at least 30 days prior to its adoption. The dental hygienist member shall be entitled to the same compensation and expenses paid to dentist members of the board pursuant to Section 34-9-41. "(c) Any dentist or dental hygienist who has been found guilty of violating this chapter or any provision of a dental practice act of any other state and as a result his or her license was revoked, suspended, or placed on probation or who has been convicted of a felony, shall not be eligible for SB123 election or membership on the board for a period of five years from the termination of any such revocation, suspension, or probation. "§34-9-41. "The board shall annually elect from its membership a president, vice-president, and secretary-treasurer and may employ staff members who are not members of the board. The board shall have a common seal. The board shall hold an annual meeting in Birmingham at the University of Alabama School of Dentistry as soon as practical after the graduation exercises of the dental school for the purpose of examining or participating in the regional examination of applicants for a license to practice dentistry and dental hygiene or at such other times and places as the board may designate for the purpose of transacting its business and examinations, and additional meetings at such times and places as the board may designate. A majority of the board shall constitute a quorum for the transaction of business at any meeting except that in conducting hearings involving any of the penalties outlined in Section 34-9-18, no less than five members of the board shall be present. In conducting hearings involving any of the penalties outlined in Section 34-9-18, a majority of the board may appoint any former member of the board who for such purposes shall have all the powers and privileges of such office as a regular board member possesses. In conducting or SB123 participating in exams, a majority of the board may appoint any former member of the board or such other licensed practicing dentists from a jurisdiction recognized by the board who for such purposes shall have all the powers and privileges of such office as a regular board member possesses. Out of the funds of the board the members thereof shall receive as compensation a sum to be fixed by the board for each day actively engaged in the duties of their office, and in addition board members shall receive the same per diem and travel allowance as is paid by law to state employees for each day actively engaged in the duties of their office. The secretary-treasurer shall receive such compensation as may be fixed by the board, which shall be in addition to his or her per diem and expenses, provided no per diem or expenses shall be allowed unless his or her duties require his or her absence from his or her office. The secretary shall receive such compensation as may be fixed by the board. The secretary-treasurer shall be custodian of all property, money, records and the official seal of the board. All money received by the board under this chapter shall be paid to and received by the secretary-treasurer of the board. The secretary-treasurer shall deposit to the credit of the board all funds paid to the board in a bank selected by its members. The board is authorized to expend such funds as shall be necessary to enforce the provisions of this chapter; to pay SB123 salaries, expenses and other costs herein provided; to promote the arts and science of dentistry; and for such other purposes as the board shall consider to be in the best interest of dentistry in this state. All the costs herein provided for shall be paid by checks drawn by the secretary-treasurer and countersigned by the president of the board; except the board may authorize the administrative secretary or the executive director to sign checks for costs that do not exceed a monetary limit to be set by the board in its rules. Should the property be other than money, the secretary-treasurer shall provide for the safekeeping thereof for the use of the board. All money, including license fees, annual renewal license certificate fees, examination fees and any and all other fees and receipts under the provisions of this chapter, are hereby appropriated to the Board of Dental Examiners to be used as herein provided. "§34-9-43.2. "(a) The Legislature finds and declares all of the following: "(1) The power to make rules regulating the practice of dentistry, and dental hygiene, and expanded duty dental assisting includes the power to prohibit unlicensed persons from practicing dentistry, and dental hygiene, and expanded duty dental assisting and the power to regulate how licensed persons practice the same. SB123 "(2) A primary goal of the provision of health care is to prioritize patient health, safety, and welfare. "(3) The Board of Dental Examiners of Alabama is in the best position to determine the dental practices that affect and prioritize the health, safety, and welfare of the public. "(4) It is the intent of the Legislature in enacting this section to immunize the Board of Dental Examiners of Alabama, its members, employees, and agents from liability under state and federal anti-trust laws for the adoption of a rule that prioritizes patient health, safety, and welfare but appears to have elements that appear anti-competitive or have an anti-competitive effect when the effect on public health, safety, and welfare is clearly demonstrated and documented by the Board of Dental Examiners of Alabama. "(b) Subject to subsection (c), rules adopted under this section or Sections 34-9-18 and 34-9-43 may define and regulate the practice of dentistry, and dental hygiene, and expanded duty dental assisting in a manner that prioritizes patient health, safety, and welfare, even if the rule has elements that appear anti-competitive or have an anti-competitive effect when the effect on public health, safety, and welfare is clearly demonstrated and documented by the Board of Dental Examiners of Alabama. SB123 "(c) A rule adopted under this section or Sections 34-9-18 and 34-9-43 may supplement or clarify any statutory definition but shall not conflict with any statute which defines the practice of dentistry, and dental hygiene, and expanded duty dental assisting. "(d) Nothing in this section shall be construed to constrict or expand the current rights and privileges of any individual governed by the Board of Dental Examiners beyond that which existed prior to the ruling in the United States Supreme Court decision N.C. State Bd. of Dental Examiners v. FTC, 135 S.Ct. 1101 (2015). "(e) Nothing in this section shall be construed to constrict or expand the current duties or responsibilities of the members of the Board of Dental Examiners in any context outside of federal or state anti-trust immunity beyond that which existed prior to the ruling in the United States Supreme Court decision N.C. State Bd. of Dental Examiners v. FTC, 135 S.Ct. 1101 (2015). "§34-9-88. "This An oral conscious sedation permit must be renewed annually upon payment of a renewal fee and proof of completion of any continuing education requirements established by rule of the board. "§34-38-2. SB123 "It shall be the duty and obligation of the State Board of Dental Examiners and the State Board of Pharmacy to promote the early identification, intervention, treatment, and rehabilitation of individuals within the respective jurisdiction, licensed to practice in the State of Alabama, who may be impaired by reason of illness, inebriation, excessive use of drugs, narcotics, controlled substances, alcohol, chemicals, or other dependent forming substances, or as a result of any physical or mental condition rendering such person unable to meet the standards of his or her profession. For the purposes of this chapter, the term "impaired" shall mean the inability of a dentist, hygienist, expanded duty dental assistant, or pharmacist to practice with reasonable skill and safety to patients by reason of illness, inebriation, excessive use of drugs, narcotics, controlled substances, alcohol, chemicals, or other dependent forming substances, or as a result of any physical or mental condition rendering such person unable to meet the standards of his or her profession. In order to carry out this obligation, each board, individually or jointly, is hereby empowered to contract with any nonprofit corporation, health provider, or professional association for the purpose of creating, supporting, and maintaining a committee of professionals to be designated the Alabama Impaired Professionals' Committee. The committee shall consist of not less than three nor more than SB123 15 professionals licensed to practice dentistry or pharmacy in the State of Alabama, and selected in a manner prescribed by the board or boards. The authority of the Alabama Impaired Professionals' Committee shall not supersede the authority of the board or boards to take disciplinary action against individuals subject to this chapter. Nothing in this chapter shall limit the power and authority of the board or boards to discipline an impaired individual subject to its jurisdiction; provided that where an individual is impaired and currently in need of intervention, treatment, or rehabilitation and such individual is currently participating in programs or rehabilitation recommended by the committee, then in its discretion, the board or boards may refrain from taking or continuing disciplinary action against such individual; and further provided that where the board or boards, upon reasonable cause to believe an individual subject to its jurisdiction is impaired, has referred such individual to the committee for evaluation, then in its discretion, the board or boards may refrain from taking or continuing disciplinary action against such individual. The board, or boards, may collect or expend such funds as are available to it as deemed necessary to adequately provide for the operational expenses of the Alabama Impaired Professionals' Committee, including, but not limited to, the actual cost of travel, office overhead and personnel expense, and compensation for the members of the SB123 committee and its staff; provided that operational expenses of the Alabama Impaired Professionals' Committee shall not include the cost of treatment or rehabilitation programs recommended by the committee to individuals subject to this chapter. The funds provided by the board or boards, under this section for the purposes stated herein shall not be subject to any provision of law requiring competitive bidding." Section 34-9-60.1 is added to the Code of Alabama 1975, to read as follows: §34-9-60.1. (a) The board may permit licensed dental hygienists to administer infiltration anesthesia under the direct supervision of a licensed dentist. The board may promulgate rules further limiting the administration of infiltration anesthesia by dental hygienists. In order to administer infiltration anesthesia, a dental hygienist shall possess a dental hygiene infiltration anesthesia permit issued by the board. To receive a dental hygiene infiltration anesthesia permit from the board, a dental hygienist shall apply on an application form approved by the board, submit the appropriate application fee, and have been engaged in the active practice of dental hygiene for the 12 months immediately preceding initial application. A dental hygienist applying for a dental hygiene infiltration anesthesia permit shall submit proof to SB123 the board that he or she has fulfilled at least one of the following qualifications: (1) Has completed a minimum of 32 hours training in the administration of infiltration anesthesia in a course approved by the board. (2) Has certification of training in the administration of infiltration anesthesia by any entity or organization approved by the board. (b) A dental hygiene infiltration anesthesia permit shall be renewed annually upon payment of a renewal fee and proof of completion of any continuing education requirements established by rule of the board. March 13, 2018 S Assigned Act No. 2018-274.